Our Burnaby garage door service technicians can be trusted for any job. Whether you want to fix the roll up door or replace the overhead door opener, our pros will be there on time to do the requested job efficiently. We have the equipment and expertise to troubleshoot problems, detect their weaknesses, and repair them on the spot. When you need a helping hand, remember that Burnaby Garage Door Repair is only a call away. Get in touch with our local garage door service company if you want to prevent problems. With the skills to service all brands and types of doors, our techs can tune up the door and its opener to keep them both running with safety. From adjustments to lubrication and repairs, our pros do garage door maintenance by the book and help the door last for much longer. You can always call us to replace parts, the panel, weatherstripping, or the opener. We also replace & install doors. No matter what you need, our company offers comprehensive and high quality garage door service in Burnaby. Your requests are covered promptly and affordably by technicians with expertise in repair services. So, don’t hesitate to call us if you want to maintain the door, fix the opener, or learn more about our work and quotes. 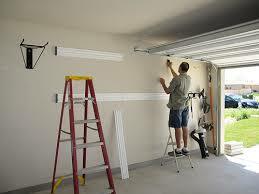 Give us a call now for any garage door repair service.